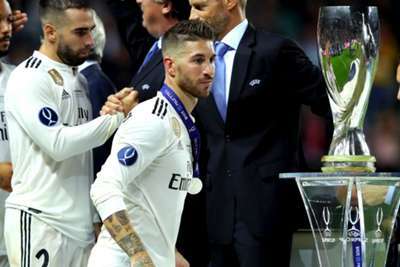 Real Madrid captain Sergio Ramos has no doubts the European champions will reign supreme again after they suffered UEFA Super Cup defeat against Atletico Madrid. 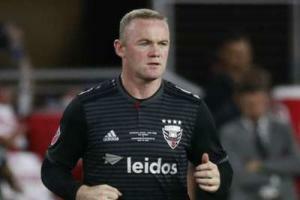 Bragging rights went in favour of city rivals Atletico, who were 4-2 extra-time winners over Madrid in Tallinn on Wednesday. It was Madrid's first defeat in an international final since 2000 as doubts emerged regarding the state of the team following Cristiano Ronaldo's move to Juventus. However, Ramos – who put Madrid ahead from the penalty spot before Diego Costa's second goal forced extra time in the Estonian capital where Saul Niguez and Koke sealed the victory – issued a rallying cry via social media. Cada derrota nos enseña algo que debemos aprender. Volveremos a ganar con este escudo, que nadie lo dude. #HalaMadrid ayer, hoy, mañana y siempre. "We learn something from every defeat. We will make this badge win again," Ramos wrote on Twitter. "No one will doubt it. "#HalaMadrid yesterday, today, tomorrow and forever." Julen Lopetegui's Madrid open their LaLiga campaign against Getafe at the Santiago Bernabeu on Sunday.